Dave East’s buzz has really been going up since his very solid debut album and a number of fire freestyles/remixes. While that debut feels like it just dropped it’s not much of a surprise that he’s already back with the follow up, especially in today’s music climate, where if you’re not working or putting out music, you’re quickly becoming irrelevant. The question I had going into Paranoia was whether he was going to double down on that nostalgic feel he had on Kairi Chanel or was he going to go more modern and chase chart success. The answer to that is that it’s a bit of both. 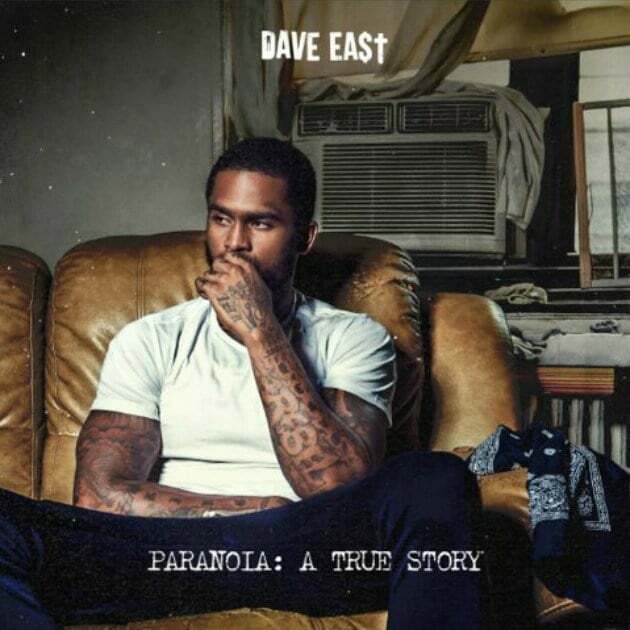 While songs on Paranoia are definitely noticeably more bass and bounce heavy than what was on his debut, the album as a whole still retains that gritty NY feel that’s become rarer and rarer these days. Overall, I’d say I enjoyed the production on this one just a little more than his first and there’s more of an immediacy to his records, an area that I felt was lacking on his debut. Dave East might not be the most creative or have the most flare, but on pure bars he’s on par with some of the best out and in a time where lyrics seem to matter less and less, it’s refreshing to hear a young upstart sticking to one of hip-hop’s essentials and continuing to put on for the tradition of NY rap. Have you heard Paranoia: A True Story? What’d you think about it? Do you think Dave East has grown from his first album or largely remained the same? Let me know in the comments below and be sure to leave your own ratings and reactions for the album. Dave East's second album isn't a giant leap forward from his debut but there is much more of an immediacy to his songs that will likely appeal more to a wider audience and it's refreshing to see that bars still matter.